Though it is hardly a “Brand New” operating system, having been released in October 2009, many PC users still have not made the upgrade to Windows 7, for various reasons. If you are still running Windows Vista or Windows XP on your computer, here are 7 reasons why you should upgrade to the latest release, Windows 7. In Windows 7, Microsoft has improved the built-in backup and restore tool, giving you more control. Now, you can choose a custom backup destination (including network drives), create system images separately from file backups, and choose which folders, files, and file types to back up. New functionality also makes it easy to restore previous versions of files and folders preserved by Windows Backup and Restore Point. Finally, BitLocker-To-Go lets you encrypt and password-protect files copied to a flash drive. Windows 7 has a new features called Libraries, which lets you see files from multiple folders in one meta-folder. For example, the Documents Library displays all of your document files, whether they’re physically stored in My Documents or in an archive folder elsewhere on your hard drive. Additionally, the improved desktop search engine uses fewer computing resources, returns results faster, and adds useful features such as results grouped by type or location. Windows 7 also includes the ability to search meta data (e.g. author field in a Word document’s Properties) and context-specific search fields in Windows Explorer, Control Panel and other locations. If you own a laptop running Windows Vista, you will notice significantly longer battery life with Windows 7 thanks to several changes. When the computer goes into low power modes (sleep, hibernate), Windows 7 cuts power to components that were not always powered down under Vista: USB ports, cameras, etc. Microsoft has also found ways to reduce power draw during normal operation, reportedly by as much as 15 percent. For the Upgrade process, Microsoft had its loyal fans in mind, including those who still rely on Windows XP. According to Microsoft, Windows 7 has been coded to support almost every piece of software that runs on your XP system. If, in the rare case one of your XP programs doesn’t work on Windows 7, then you have the option to run it in a virtual environment called XP Mode. Even better, there is no toggling between an XP emulator and Windows 7. Apps running in XP Mode appear like ordinary windows that are part of Windows 7. Microsoft has also released an Upgrade Advisor that you can download to automatically scan your system to tell you which version of Windows 7 is for you. The new Aero interface makes it easier to work with active applications and open files. Mousing over an icon in the task bar displays large thumbnails of all open windows in that program or tool. Mousing over a thumbnail temporarily displays the window in normal mode. Left-clicking brings it to the top and makes it active. Right-clicking an icon in the bar displays a list of recently opened files. Selecting one opens it and puts it on top. The “snap” feature lets you neatly line up two documents to compare by simply dragging them to opposite sides of the desktop. These small refinements make a significant difference in day-to-day use. Unlike Windows Vista, which required significantly more memory and processing speed to power its graphical user interface (GUI), Windows 7 is a slimmed-down operating system that doesn’t hog your computer’s resources. As such, the same machines you now having running Vista should easily be able to accommodate the new OS, which in many cases loads programs, boots, and shuts down faster. You’ll find yourself spending less money on hardware upgrades and less time waiting for software to load, which should result in a big productivity boost for most users. Even a relatively slow 1GHz PC with 1GB of memory can run Windows 7 (though 2GB of RAM is recommended and 4GB for the 64-bit edition), which makes Windows 7 perfectly suitable for installation on any computer, from a low-end netbook to a high-end desktop. Given its suite of welcome upgrades, Windows 7 is sure to inspire more third-party developer support than the previous version, Windows Vista. This means that over time it should feature a larger software library that takes advantage of its built-in features. As the system’s improvements significantly enhance the desktop and online experience of everyday users, it’s inevitable that you will want to take advantage of programs which natively support these updates. Even if you choose to opt for the basic Home Premium edition ($119.99 upgrade), you will be able to appreciate the new extras, such as faster and more reliable desktop search functions and simpler document retrieval. In most cases, no matter which benefits matter most or which edition you decide on, you will find that upgrading to Windows 7 has been well worth the wait. 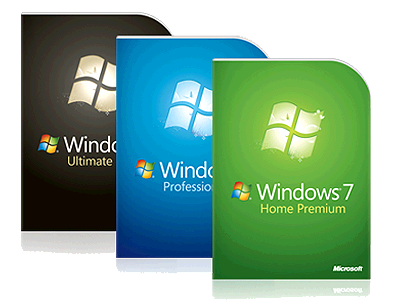 To find out more information about Windows 7, view the available editions.